Our mission is to inspire, motivate and challenge people to get out of their comfort zones and to make the most of life. 5 years ago we started an After school programme for children. We initially started with only 6 children per day however this number grew quickly and after 4 years we had 330 children per day attending our programmes. We wanted a place where children could try things and challenge themselves in a way they may not otherwise get a chance to do so. During this time we found a lot of parents asking to join their children on our daily adventures. We realised then that everyone is looking to put some adventure in their lives. 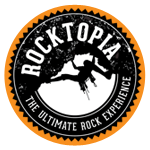 Rocktopia was born, initially starting as a Climbing gym and Clip N' Climb centre. We quickly evolved to incorporate all the amazing activities our team is passionate about. We have a fantastic enthusiastic team has loads of experience and our mission is to have a great day in a SAFE, FUN environment. We are extremely passionate about Wake Boarding, having taught approximately 300 children over the past 7 years. Our white water rafting guides have some 120 years worth of experience between them. Our Eco Hiking guides are well renowned and there isn't anything they do not know about our local wildlife and flora. 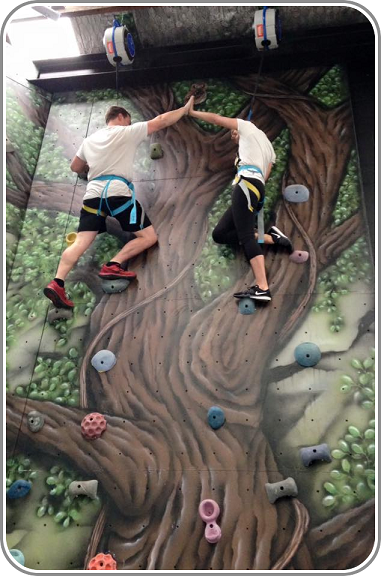 Our Rock Climbing and Abseiling Instructors are some of the best in the country so you know that you are in safe hands when you book with us. Where ever you are in your life and what ever challenge you are looking for we have something to suit everyone. every age, every budget and every ability.